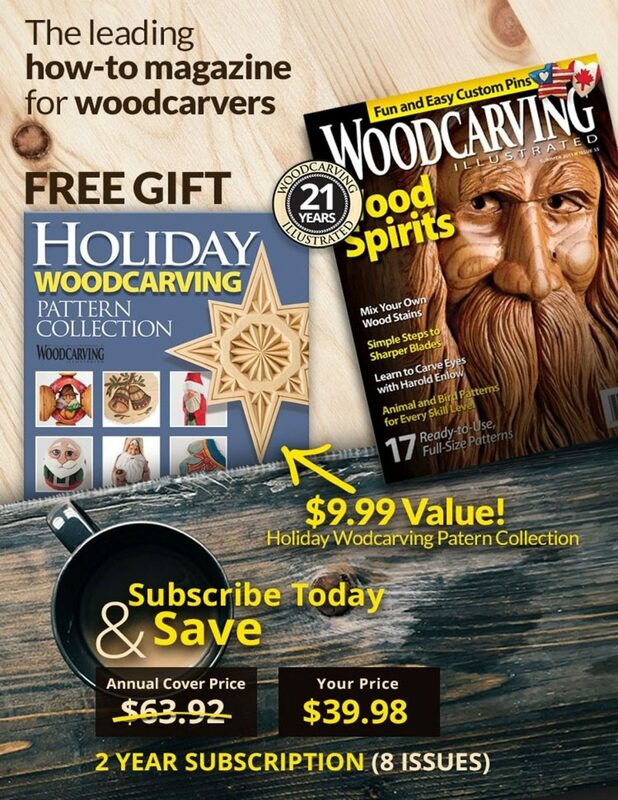 Carve this rustic deer as a stand-alone project or size the pattern to create the perfect complement to your favorite carved Santa. 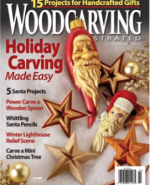 Use twigs for the antlers to add to the rustic charm and simplify the carving process. I use knives, chisels, and gouges to carve the deer, leaving the tool marks visible. Use power carving tools or sand away the tool marks and woodburn fur texture for a more realistic reindeer. 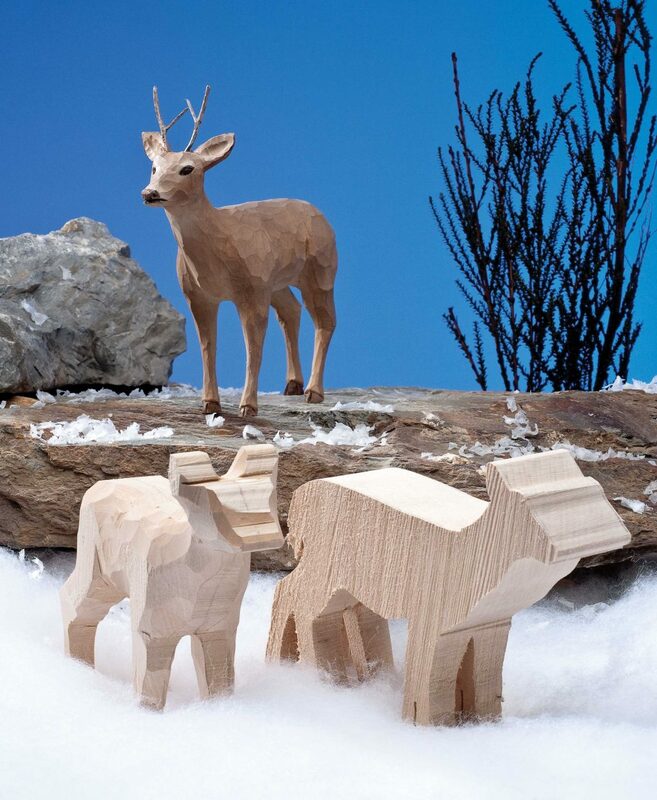 Create a herd of deer and give one a red nose in honor of Santa’s favorite reindeer, Rudolph. Add leather reins and position the deer in front of a sleigh for a dramatic mantel display. The pattern for this reindeer is based on drawings from Doug Lindstrand’s Alaska Sketchbook. • Drill with bit: 1/8″ (3mm) dia. CLICK HERE to download the Simple Reindeer Patterns. For further reading check out Carving Deer by Desiree Hajny. 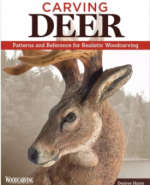 This handy reference guide to carving deer features detailed patterns, reference photos, anatomy sketches, and expert tips for texturing, painting, and finishing. The book is available for purchase from www.foxchapelpublishing.com for $12.99 plus S&H. 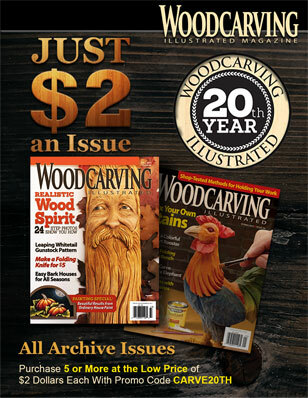 CLICK HERE to read more great articles from Woodcarving Illustrated Holiday 2009 (Issue 49).